Your front-office and back-office employees’ heavy dependency on line-of-business to drive your business is unavoidable. Very often to make any decision employees have to access paper file cabinets, unrelated databases, file shares and more and serve internal and external customers. Knowledgebase and SharePoint integration can create a central repository for storing and linking documents for customer interactions that fuel your business. 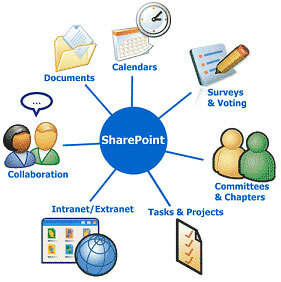 eWebSuite can help you integrate your business applications with your electronic content in SharePoint. We allow enterprises to streamline and strengthen basic business processes by leveraging existing IT investments and aligning IT with business objectives. Integrating existing line-of-business (LOB) systems (i.e. CRM, ERP, PLM, etc.) to SharePoint enables you to outward LOB data within a collaboration platform that everyone uses. This approach of bridging the gap between Users and multiple LOB systems using SharePoint is known as Business-Critical SharePoint or BCSP. BCSP bring information from the backend systems and utilize it for driving unified data access, enhancing visibility, and bringing business intelligence to your fingertips. eWebSuite’s BCSP approach enables you to make data-driven decisions with confidence, enabling you to manage risk and compliance, integrate teams and processes, boost performance, produce higher levels of adoption among business users and increase ROI from IT investments overall. Contact us to know more about our Business-Critical SharePoint approach and how eWebSuite can assist your business by integrating SharePoint and LOB Systems.